June 16, 1990 is truly a day that changed the game of hockey forever. 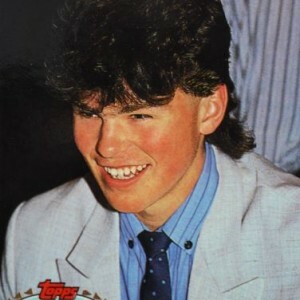 The NHL draft was held in Vancouver that season and the Pittsburgh Penguins would draft an 18-year old Czechoslovakian kid by the name of Jaromir Jagr with their first round pick, a fifth overall selection. Yes, four other teams passed on him prior to the Penguins selecting one of the most legendary players to dawn an NHL jersey. The impact that Jagr has had on the NHL since is rivaled by very few in the history of the game. Talent aside, he has composed himself with a swagger that’s essentially impossible to abhor. Though there are many fans that remain bitter in the City of Pittsburgh after his controversial departure in 2001, there’s no denying that those same fans were witness to one of the greatest careers ever. And, he’s still going at the age of 44. Every hockey fan from my generation will forever remember the one-two punch of number 66 and 68 for the Penguins. Players with that combination of size, skill and character are nearly impossible to find, but Pittsburgh had them both. Watching and marveling at what the two of them could do, despite playing in an age in which clutching and grabbing was more like bear-hugging and water skiing behind the puck carrier, was truly an honor. Jagr only recorded 57 points through 80 games in his rookie year, which consisted of 27 goals and 30 assists. Of course, he was just getting started. That season, the Penguins won the franchise’s first Stanley Cup. They followed that up with a repeat performance in 1992, and Jagr was off and running as a full-blown star in the NHL. He was unstoppable, using his unparalleled lower-body strength to protect pucks while making defenders look like beginners with his silky hands. The quiet Czech kid that didn’t speak an ounce of English began to show his personality. Everyone, even those outside of the Penguins fan base, were enamored by him. Whether he was doing commercials for his Jaromir Jagr peanut butter or harassing Paul Steigerwald during interviews, it was entertainment. Plenty of players in hockey have charisma and provide entertainment. However, very few, if any, will recognize the kind of success Jagr has throughout his 25-year NHL career. On Mar. 3, Jagr’s Florida Panthers faced the Colorado Avalanche and he recorded his 1,850th point, which tied Gordie Howe for third all-time in NHL scoring. He’s now 37 points behind Mark Messier for number two. There are no indications he can’t play another year in the NHL, so passing Messier is a real possibility. Some have put an asterisk next to his accomplishments, mainly due to the longevity of his career, as if he has simply played long enough that he’s almost guaranteed to rack up a historical amount of points. Of course, that isn’t the case at all. Plus, Jagr’s career in itself is something for the history books. In today’s NHL, where players fall from grace in their early to mid 30’s in most cases, it’s unbelievable that he’s still playing at a high level. Did I mention that he’s 44-years old? In 806 regular season games with the Penguins, Jagr accrued 439 goals and 1079 total points. Of course, he also hoisted the Stanley Cup twice and won plenty of awards, even after he left Pittsburgh. (courtesy of Wikipedia). There’s no telling how long Jagr will play or where he’ll end up on the league’s all-time scoring list. All we know for sure is that he will go down as one of the best players to ever lace them up in North America and beyond. Last night, Jagr was held pointless as the Panthers fell to the Arizona Coyotes by a score of 5-1 and in what was just another regular season game on his resume, that game means something more for his legacy. He’s now officially only 50-percent Penguin. Jagr recorded his 1,612th game in the NHL on Saturday night, which ties him with Ray Bourque for ninth all-time in that regard. That also means that he has now played as many games outside of Pittsburgh as he did with the Penguins. Most players that make it to the NHL would dream of having a career that lasted as long as his tenure in the Steel City but for Jagr, those years seem like they occurred a lifetime ago. It’s a testament to his training, dedication and even the ten cups of coffee that he drinks each day, which he recently gave up for lent. Whatever it is that keeps him going, we can only hope it continues. We can only hope that we get at least a few more seasons of Jaromir Jagr in the NHL because once he leaves, hockey in North America simply won’t be the same. And, if you’re still bitter over Jagr’s departure from Pittsburgh and his now infamous quote in which he was “dying alive” there, let it go. Enjoy the legend that is Jagr while you can. He doesn’t owe you anything that he hasn’t already given.